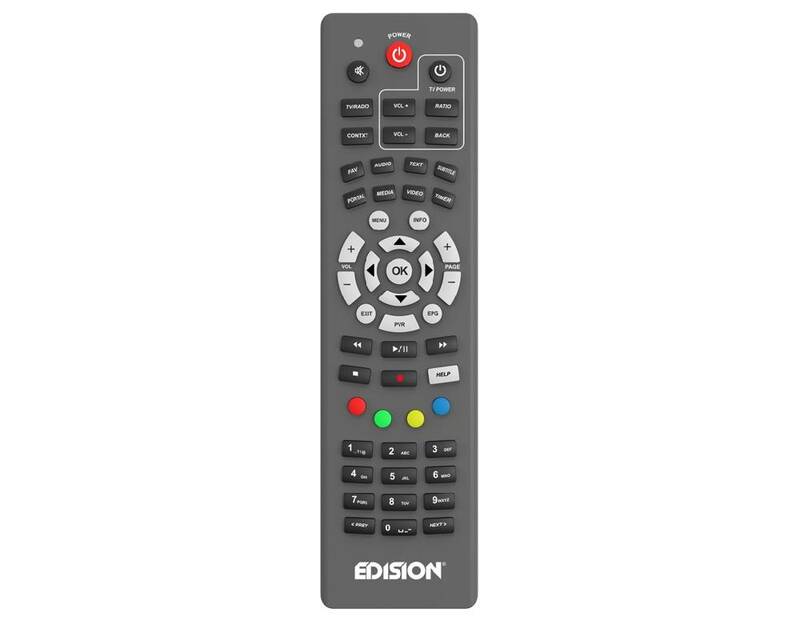 Edision Universal Remote 1 ALU geschikt voor diverse Edision ontvangers en bevat enkele basisfuncties voor diverse TV's (zie specificaties) waardoor het een handige 2 in 1 afstandsbediening wordt. Controleer of uw model geschikt is bij de specificaties. 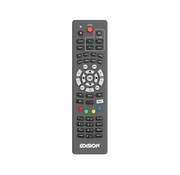 EDISION UNIVERSAL 1 Alu Grey. Ergonomical 2-in-1 IR remote control, with aluminum face plate in matte grey color which you can use both for your EDISION receiver and for up to 5 functions of your SAMSUNG* & LG* or any other TV set! It has 5 pre-installed and programmable functions for SAMSUNG* & LG* TV set or you can program up to 5 functions from any IR remote control of your TV set. 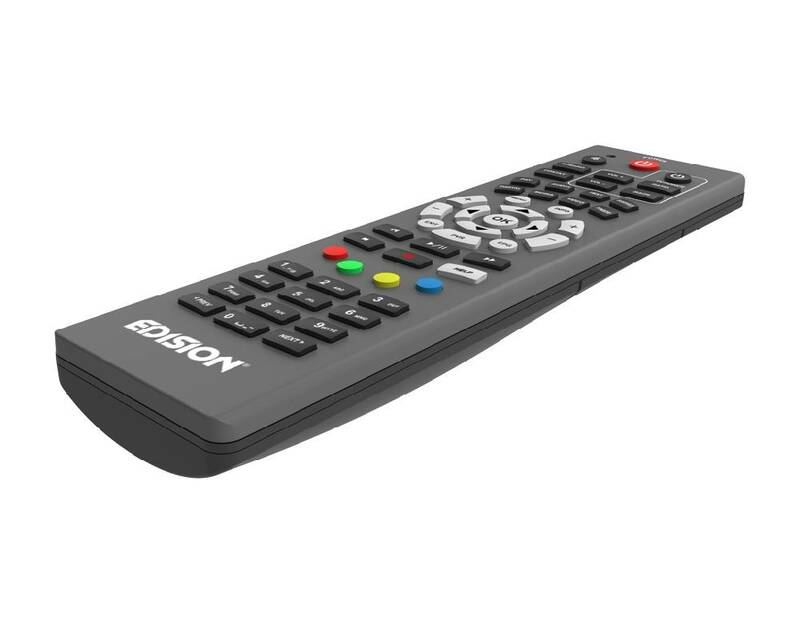 It allows you to enjoy the viewing quality from your EDISION receiver, without any discomfort from having to use 2 different IR remote controls. 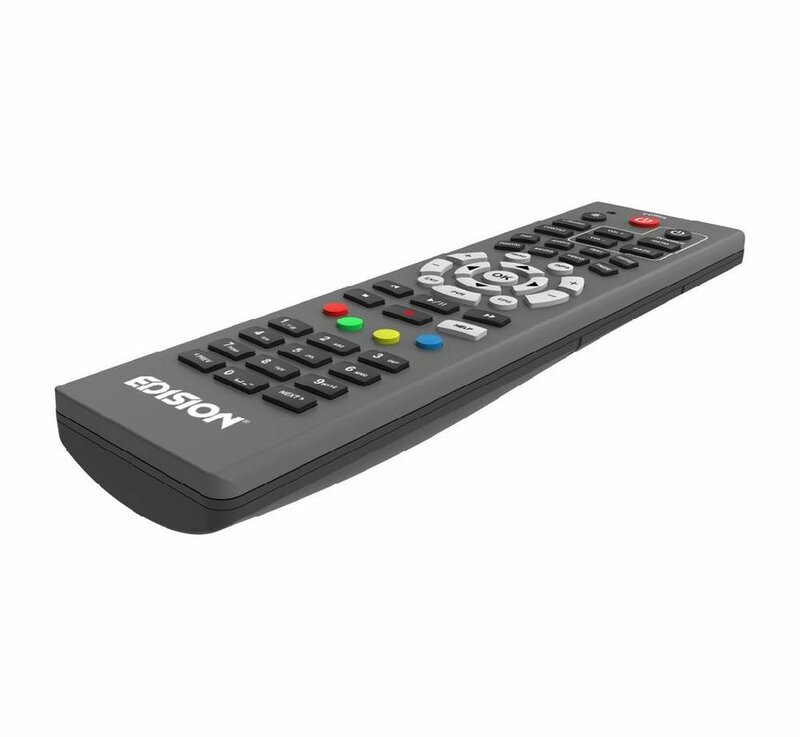 With easy to program, ergonomical keys. *= LG & SAMSUNG are brand names that belong solely to LG Electronics Inc. and Samsung Electronics Co., Ltd respectively. Any brand name reference in this text is only for informational purposes towards the consumer that is interested in the product. There is a minor percentage that some SAMSUNG & LG TV models or some of their functions are not fully supported or not supported at all. If this situation occurs, please contact us.